Features: Being dependent on medication is a task that should not be taken lightly. 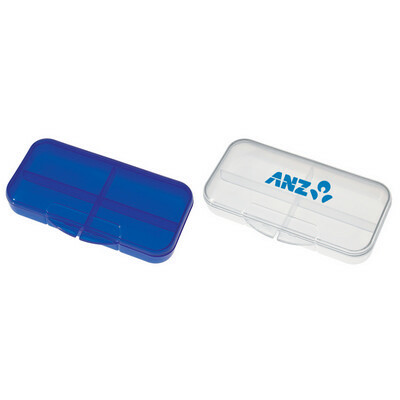 This Rectangular-shaped Pill Holder is a great organizer as it comes with four separate compartments and one large snap lid. Price includes : 1 COLOUR 1 POSITION PRINT. Setup is included.